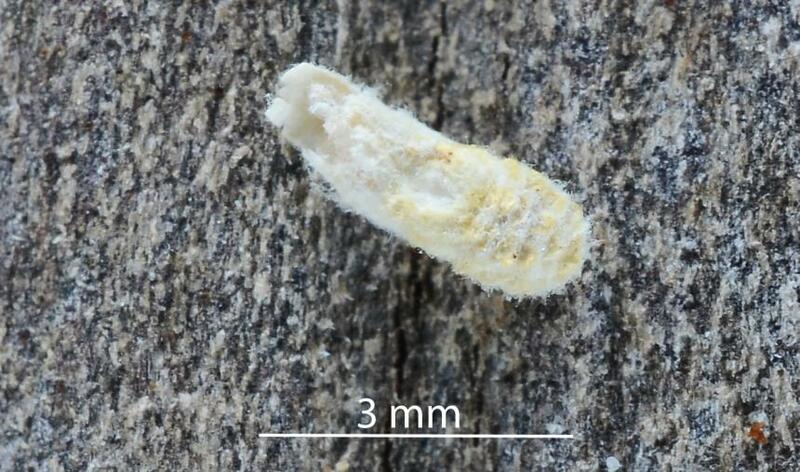 The higher classification of scale insects is undergoing revision. For this factsheet, I have retained the old classification with all scale insects in the superfamily Coccoidea. 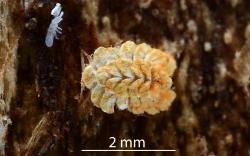 This native scale insect lives Tasmania, South Australia and both main Islands of New Zealand. 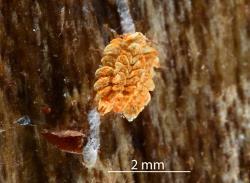 It lives in native ecosystems where it is associated with dead plants in the soil and litter as well up trees. It feeds on fungi. Conservation status: A native species found mainly in native ecosystems on dead plant material in soil, litter and on trees in the North & South Islands. The annual cycle of Gullans ensign scale has not been studied. 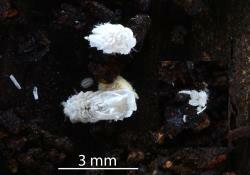 It is associated with decaying plants and requires damp conditions suitable for the growth of fungi. 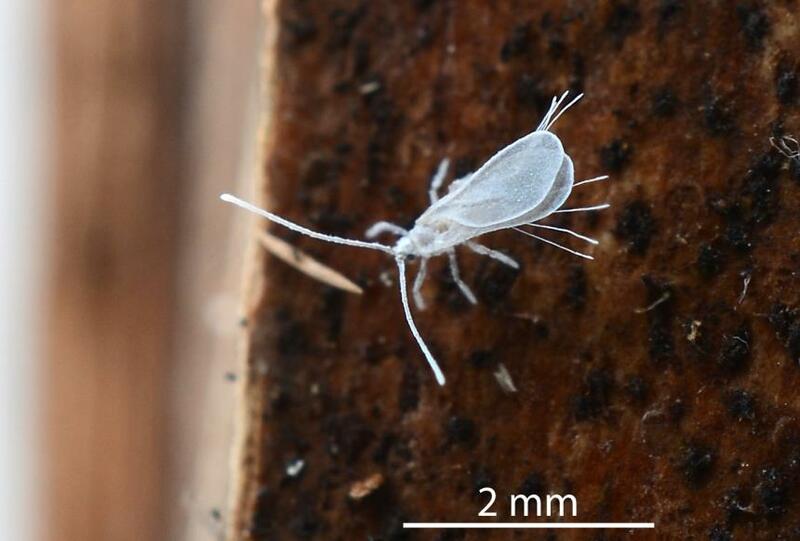 In Auckland it has been found breeding in the winter and spring. 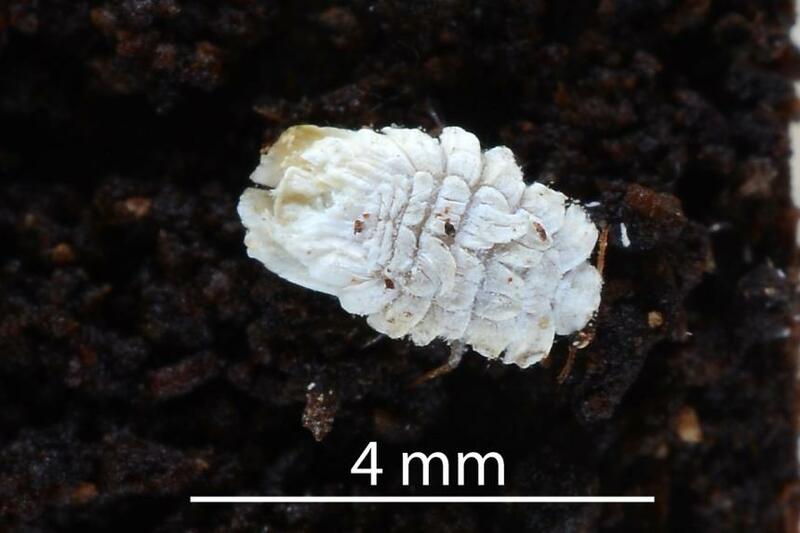 The adult females and nymphs can feed while the male has two non-feeding stages; the last is a pupa, from which hatches a winged male. 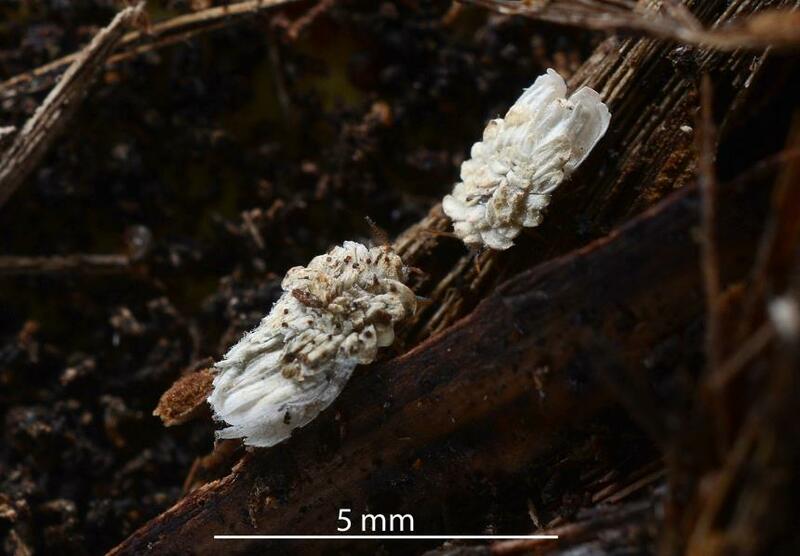 The distinctive adult females are associated with decaying plants and are about 2-3 mm long. They are covered by bunches of wax that form plate-like structures, most of which are distinctively shaped. Some of the dorsal (top) wax structures extend beyond the end of the abdomen and cover the marsupium. The marsupium is a large bowl-like wax plate formed by the underside of the abdomen and which holds the fertilised eggs. The female and nymphs have three pairs of thin legs and a pair of thin antennae, which in the adult female has seven segments and hair-like setae. On the underside of the head is a short rostrum which holds the stylets used for feeding. 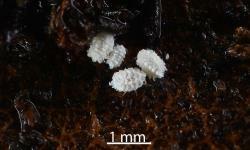 Oval white eggs, about 0.2 mm long are laid into the marsupium and are carried around in it by the adult female. 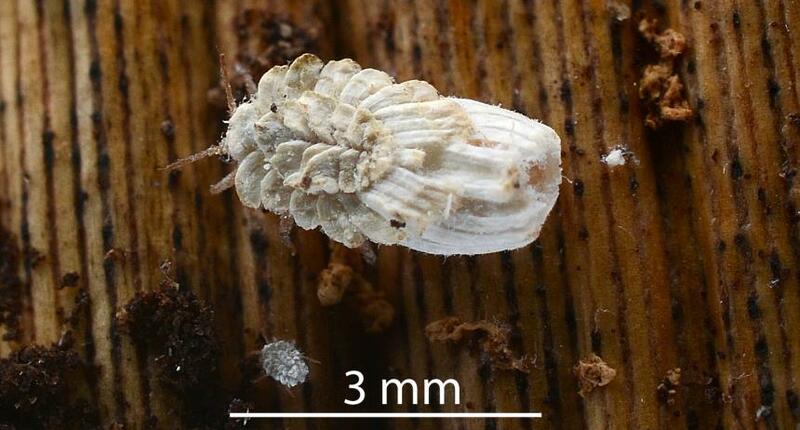 When the nymph is fully developed, it hatches from the egg and crawls out of the marsupium. 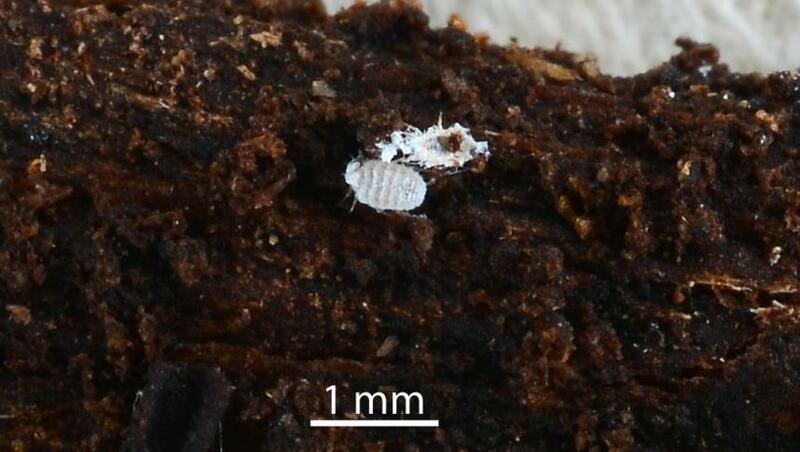 There are four nymphal instars (stages) that look like small adult females without a marsupium. 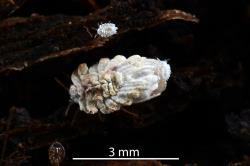 When a nymphal instar is fully grown it moults, changes its skin, into the next instar (stage). During moulting the skin on the upper side of the nymph splits along the midline for the full length of the body. 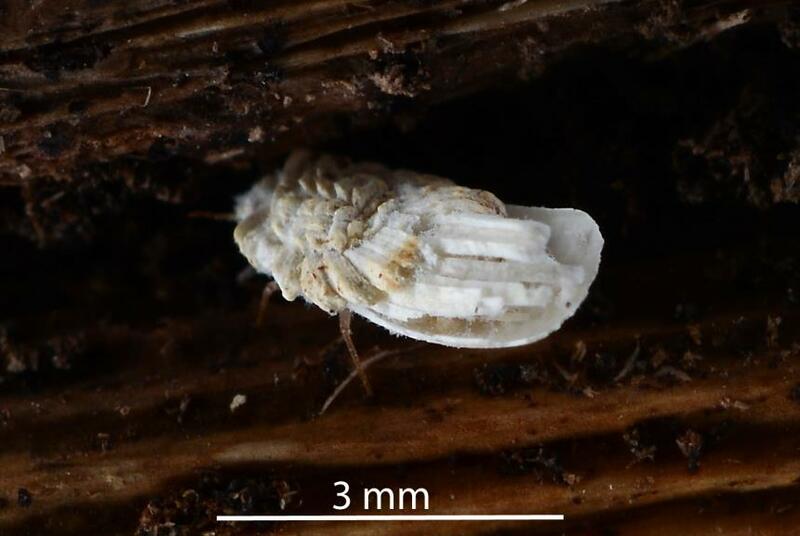 The nymph pulls itself out leaving an empty shell with holes where the legs once were. 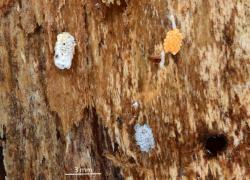 The body wax is usually white but sometimes the surface colour is an orange-brown. The wax plate-like structures are usually sharply defined, but sometimes the surface of the wax is covered by a kind of ‘down’. 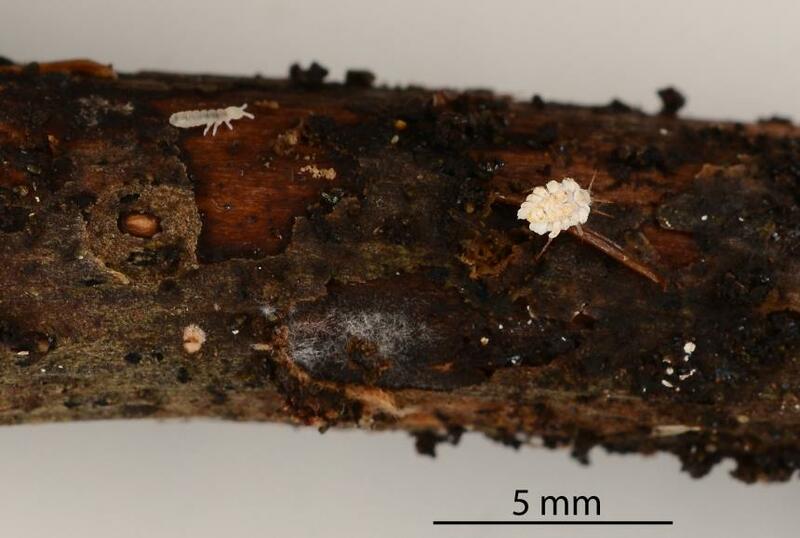 There are four female nymphal instars and two feeding male nymphal instars. 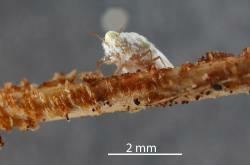 The third male nymphal instar is non-feeding and is followed a pupa, that has wing buds. The pupa may develop in a cocoon made by the nymph or in the nymphal skin. When the adult male is ready, it sheds the pupal skin and its wings expand and it growth 8 white wax tails. The male then searches for females with which to mate. Mating probably occurs before the female forms the marsupium. The male may fly in search for other colonies. 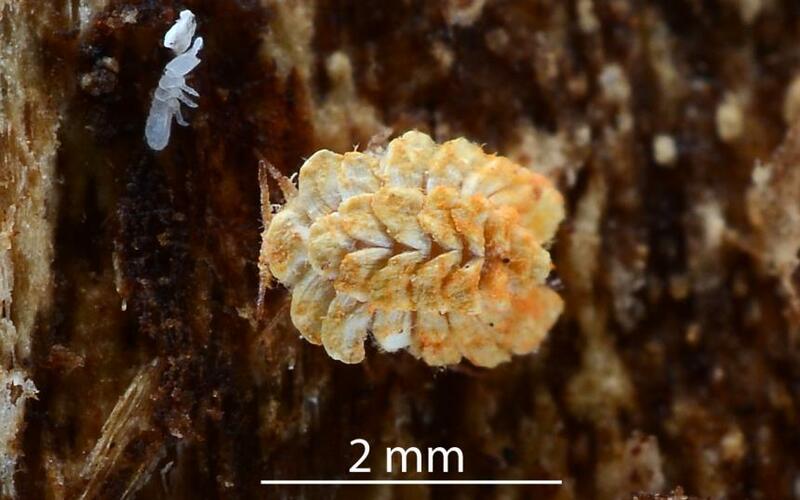 Like other Hemiptera, the nymphs and adult females of Gullans ensign scale insects have sucking mouth parts. The stylets, special shaped rods, are held in a short rostrum on the underside of the body. When the insect wishes to feed the stylets are then gradually pushed into fungal hyphae. The inner pair of stylets, form two tubes, one through which saliva is injected into the plant and a second through which juices are sucked up into the insect. The nymphs, adult females and adult males have legs for walking. 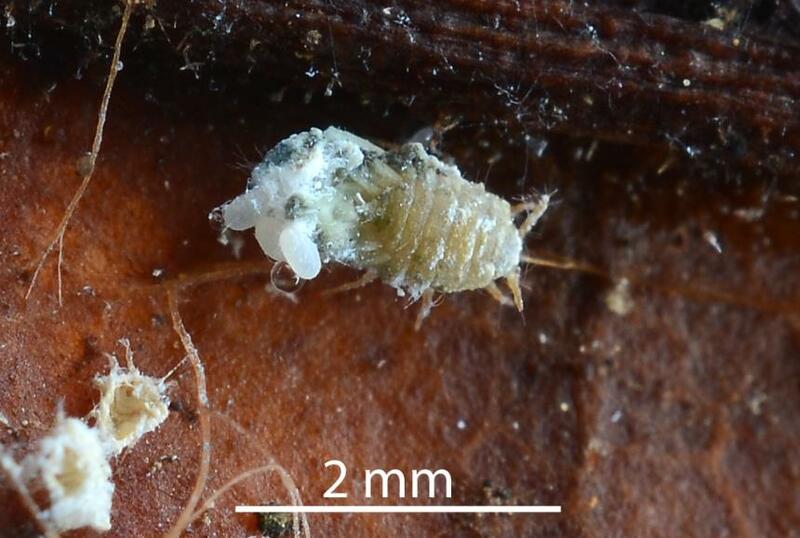 The nymphs and adult females crawl through plant litter on the ground and in the soil as well as travelling up trees to decaying perched litter and to epiphytic plants. 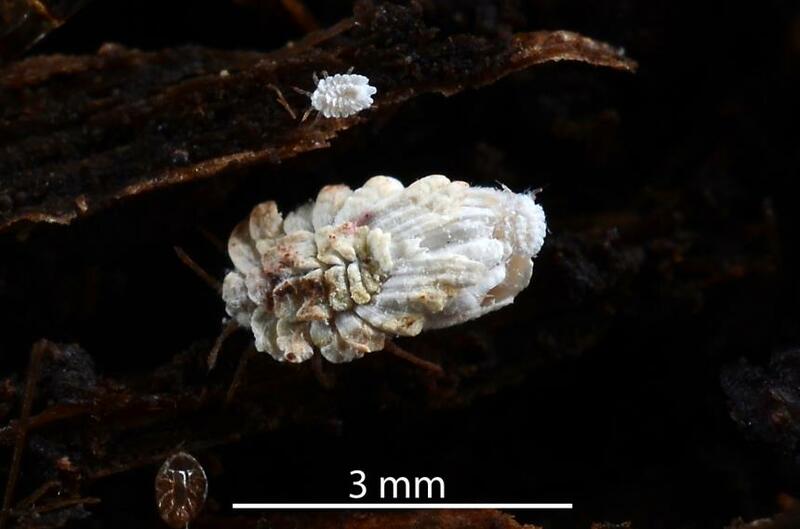 In other scale insects the first instar (stage) nymph is the stage that is involved in long distance dispersal. 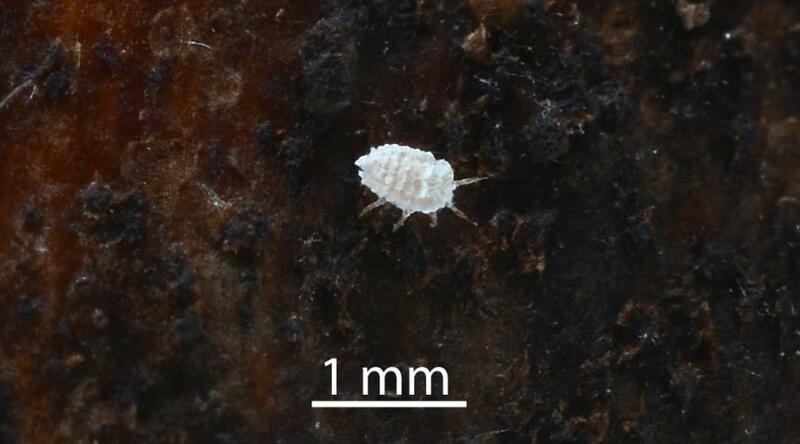 It is likely to be the case for ensign scale insects. Most long distance dispersal is by air. It is not known if crawlers of this species go to high points of the plant and stand up to catch the wind. Adult males have wings as well as legs. 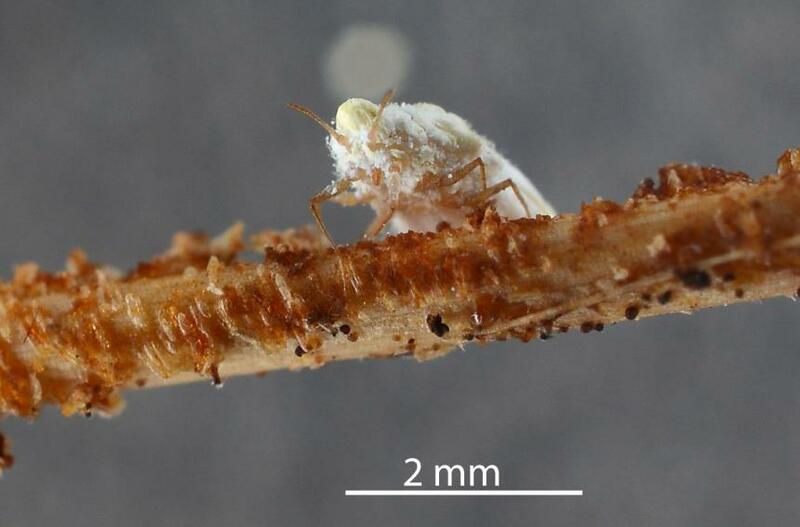 They can crawl through and over dead leaves and stems in search of females with which to mate. They can also fly to other nearby colonies and may be carried further by wind. 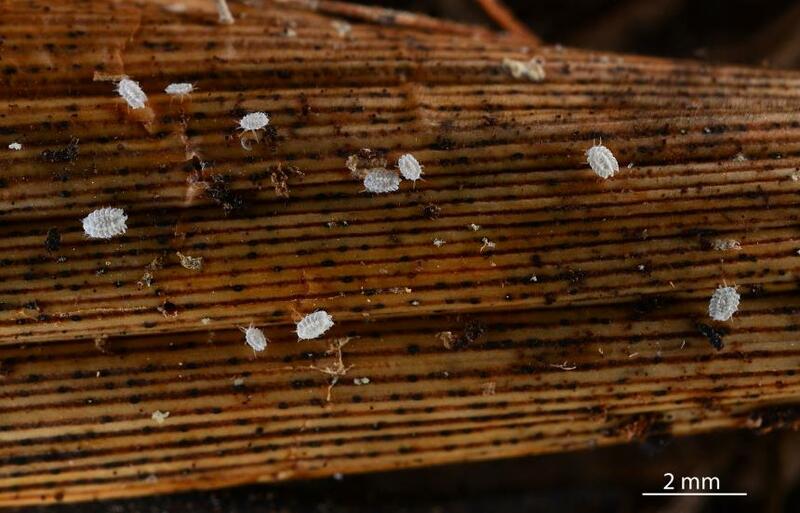 Ensign scales are readily distinguished by having much of the body covered in bunches of white wax secretions that form plate-like structures and by possessing distinctive, well-developed legs and antennae. 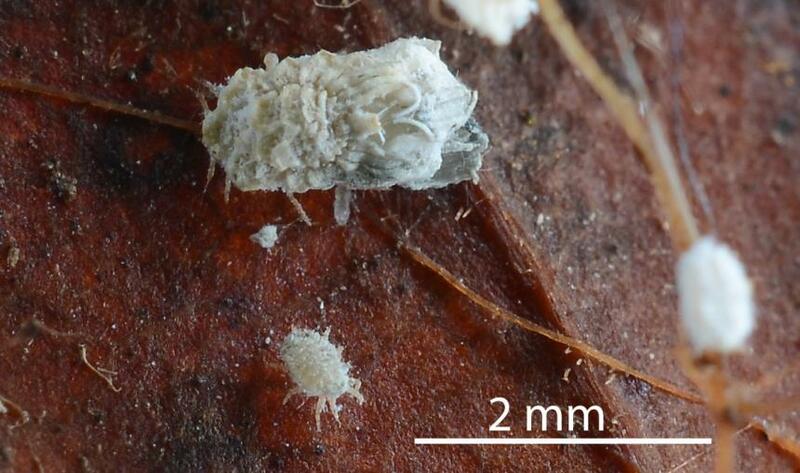 Three species have been found in New Zealand. Microscopic examination is required to distinguish the species, but live females can be identified. The antennae of Gullans ensign scale has seven segments, while the other two species have 4 (Newsteadia caledoniensis, Kozár & Konczné Benedicty, 2000) or 5-6 (Newsteadia myersii Green, 1929). 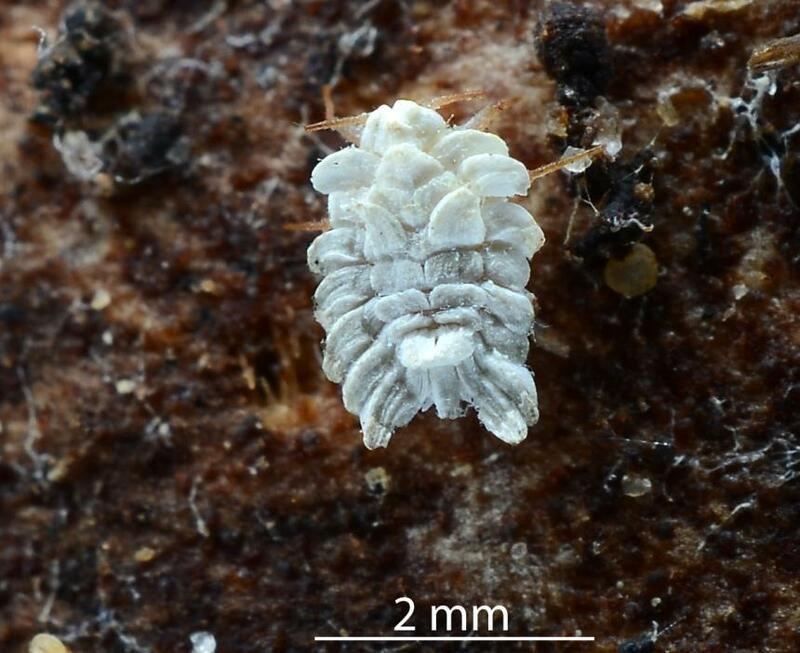 Another distinguishing feature is that the antennae of Gullans ensign scale has hair-like setae, while the other two have spine-like setae. 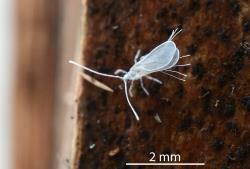 No Pathogens, parasitoids or predators of Gullans ensign scale are known. 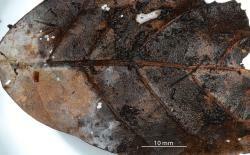 Gullans ensign scale are associated with decaying plants, leaves, stems and bark. 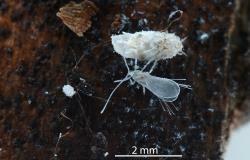 They have been found living amongst dead plants in the soil and litter and on perched litter and dead epiphytic plants. 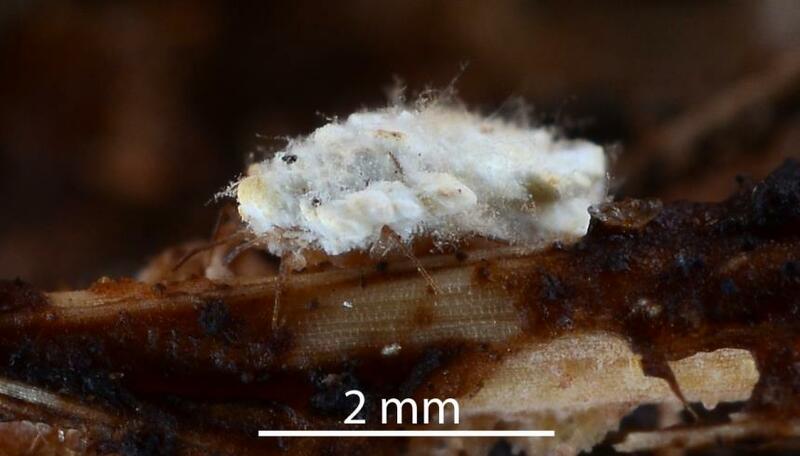 They feed on fungi and I have seen feeding on fungal hyphae on some of these substrates. No details are available of the fungi on which they feed. Table: Host plants of the Gullans ensign scale, Newsteadia gullanae (Hemiptera: Ortheziidae) from Plant-SyNZ database (4 May 2018). The reliability score shows the quality of evidence for the host association (1-10, 10=high). 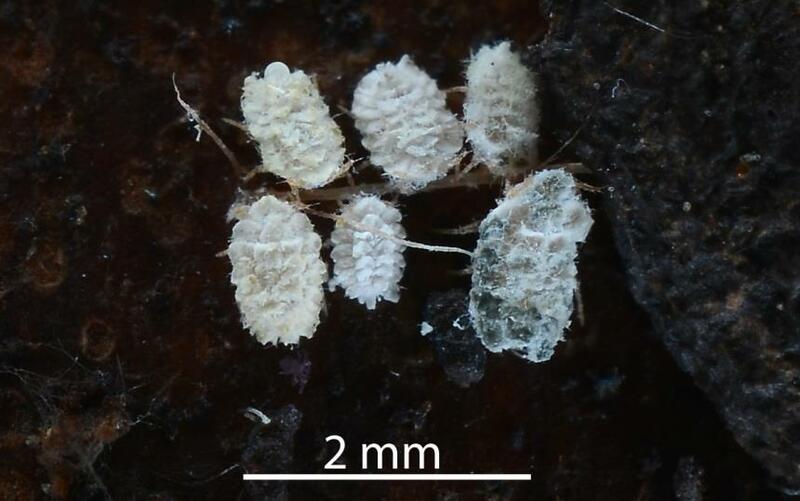 Scale insects in the family Ortheziidae, Ensign scale insect, are thought to be either an early offshoot of the earliest scale insects or to represent primitive scale insects from which all other scale insects evolved. Insects evolved in the late Carboniferous. 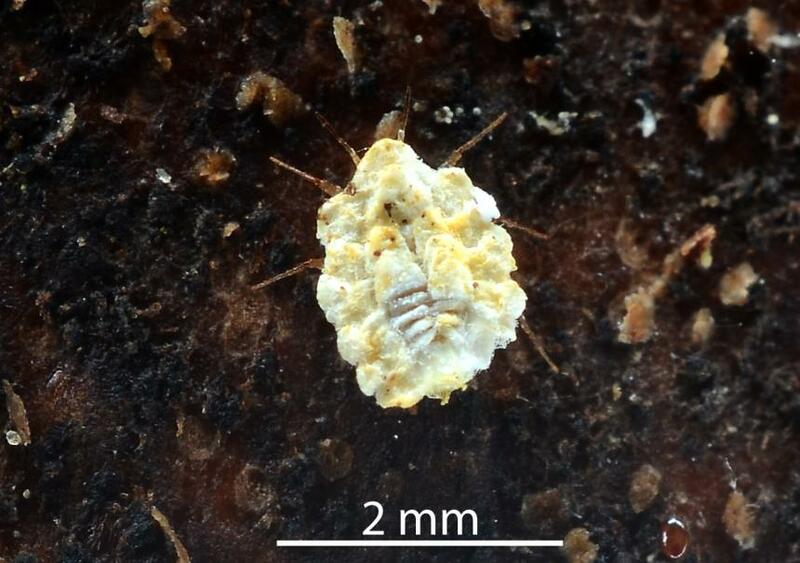 Fossil Hemiptera were also found about this time. At that time mosses, ferns and early Conifers and other ‘Gymnosperms’ were present. 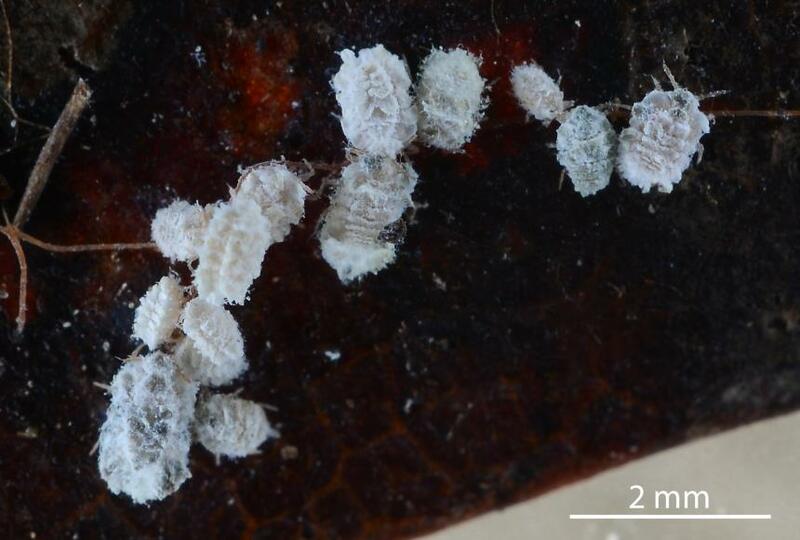 The major Hemipteran group, Sternorrhyncha, that includes scale insects, aphids and whiteflies, first appeared in the Upper Permian (https://en.wikipedia.org/wiki/Hemiptera). 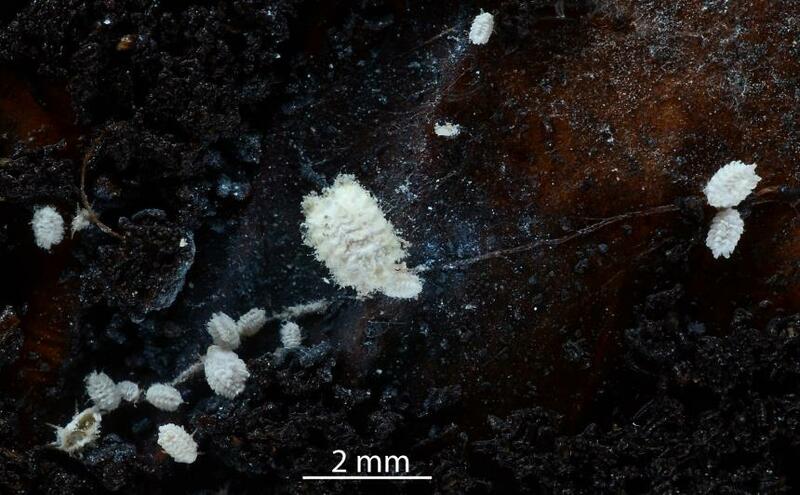 This is long before the evolution of Angiosperms, the group of plants on which most scale insects now live and feed. 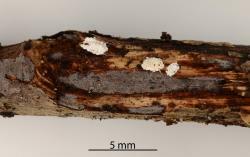 More information about when different groups of scale insects may have first appeared is given by Via and Grimaldi in their 2016 paper. J Koteja in a 1985 essay describes a possible scenario for the evolution of scale insects that makes sense from an ecological perspective. 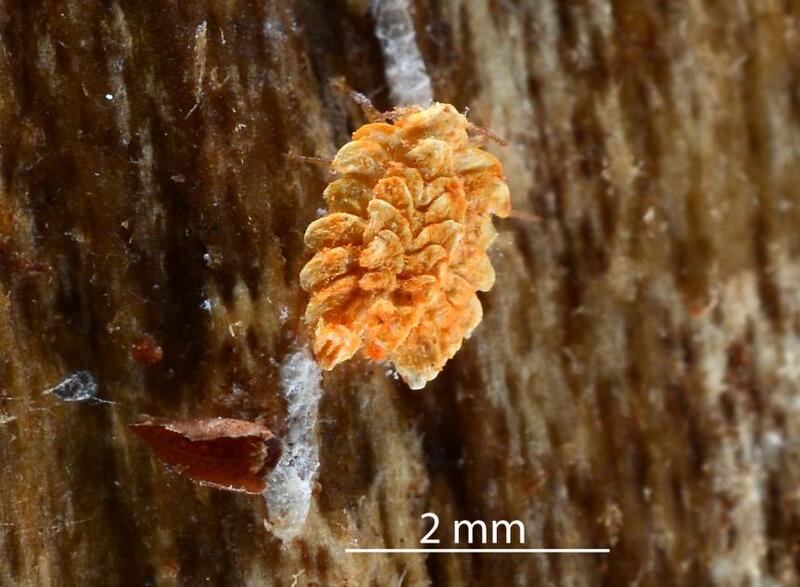 His essay starts by analysing the distinctive structures found on scale insects and discussing those that must have been present on the early scale insects and how they might have evolved. 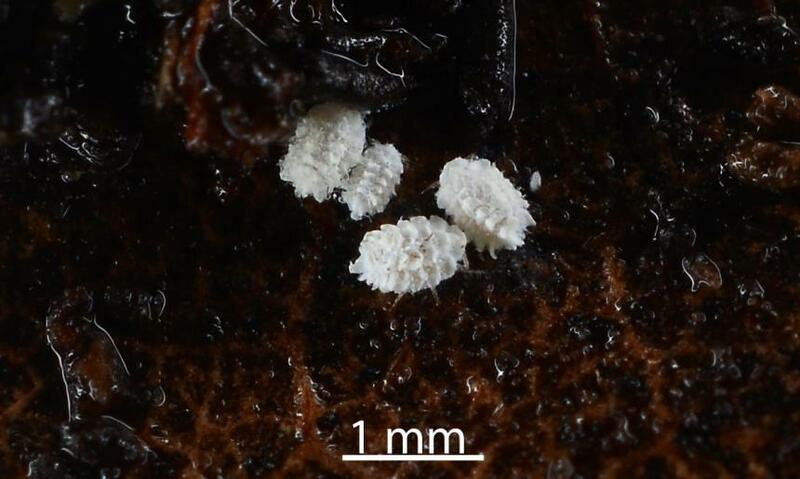 From this he deduces the way of life of these early scale insects. 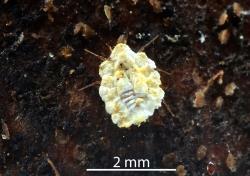 His first point is that the early Coccoidea remained in the primary habitat, forest litter and retained the method of feeding by sucking liquids from the surface of dead and living plants and sucking from living and decaying plant tissues much longer than any other group of Sternorrhyncha and other closely related major groups of Hemiptera. These surface liquids and decaying plants would have contained micro-organisms and fungi, the living plants could have included lichens, mosses. ferns, conifers and other ‘gymnosperms’. 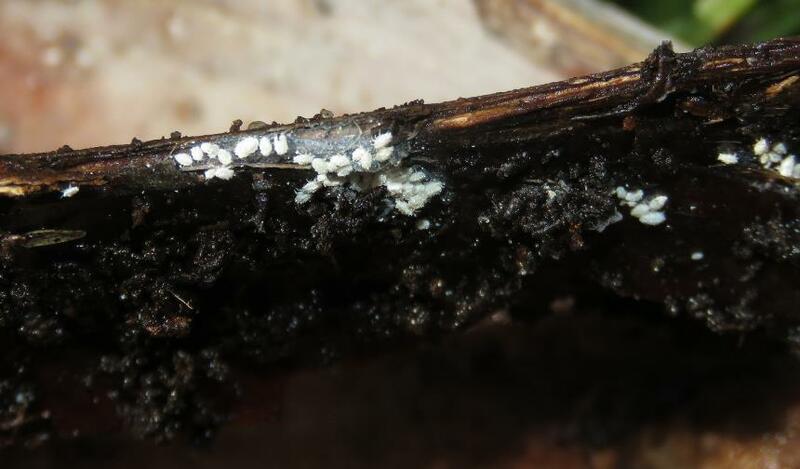 Secondly, as a consequence of living in the litter, a habitat with a lot of small and tight spaces, the early scale insects developed legs for digging (each leg with one claw, one-segmented tarsus and a functional tibiotarsal joint). 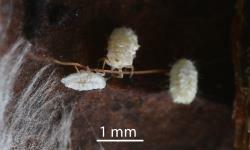 The antennae became reduced in size and was used as a feeler in the tight spaces. 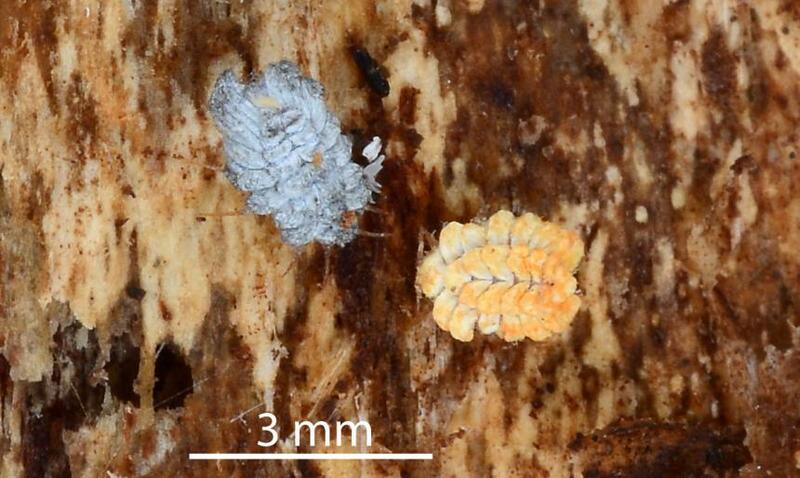 Also, the adult females lost their wings and became like large larvae, while adult males became non-feeding, dwarf-like, dipterous (1 pair of wings) and developed polymorphic chromosome systems. 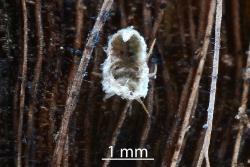 Also in males, the last two nymphal instars became non-feeding stages with the last being a pupa with wing buds. 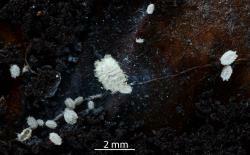 Thirdly, this litter living stage was before the radiation of modern Angiosperms which occurred in mid to late Cretaceous. 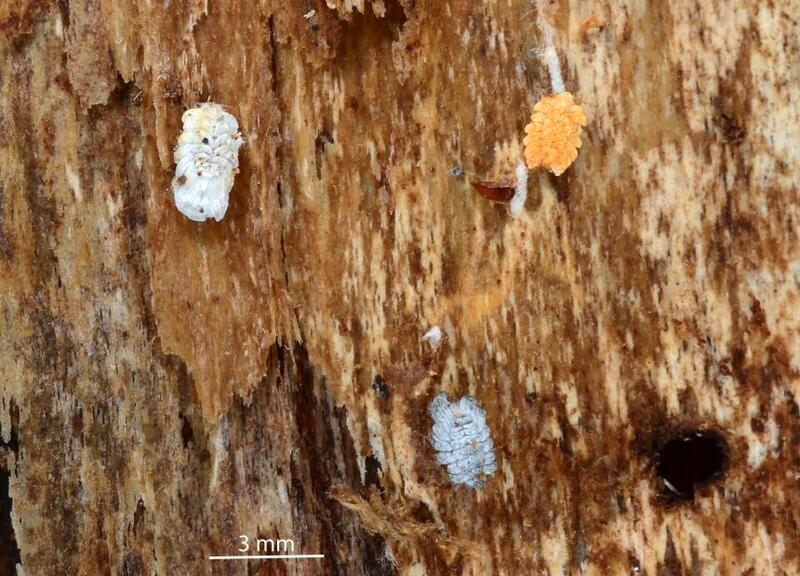 But it was during this litter dwelling stage that the major groups of scale insects evolved. He believed that it was after the evolution of modern Angiosperms that scale insects became true plant feeders. 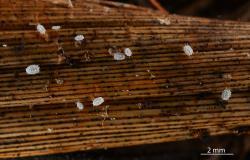 Most groups of scale insects started to climb up plants. 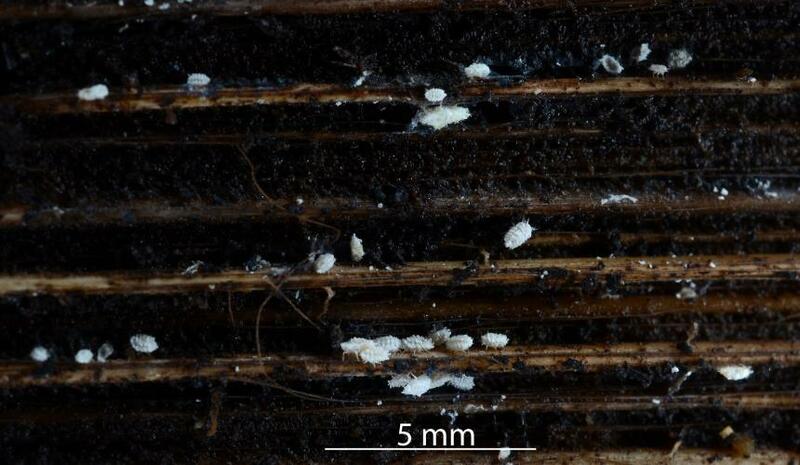 They became victims of hymenopterous parasitoids. The organs called digitules on the tarsus became modified to aid clinging to plants. Fourthly, their evolution as plant feeders was limited by the absence of wings in females and the fragility of males. Specialisation tended towards a sessile life style. 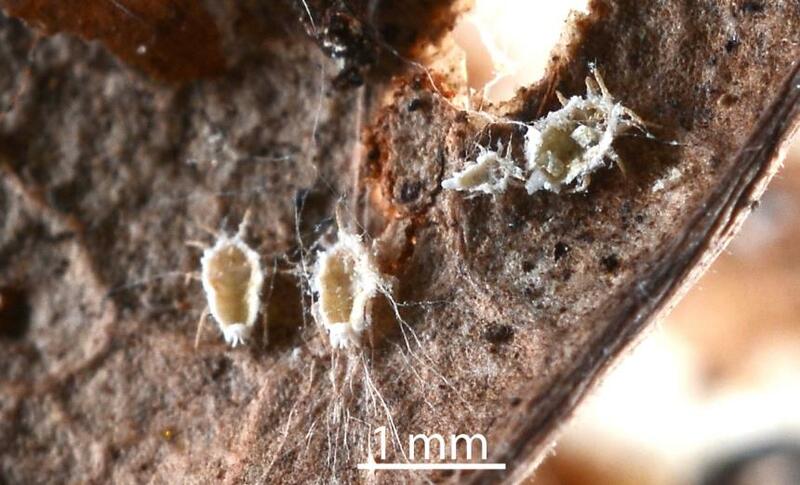 The Coccoidea developed a variety of protective systems for the nymphs and females with a simultaneous reduction in the ability to walk. Extreme examples of the can be seen in the armoured scale, Diaspididae, and the soft scale, Coccidae. These protective systems involved major structural changes of the female body that included diminution and hypertrophy, the development of special glands in the integument and devices for ejecting honeydew. 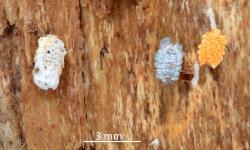 Living in litter and feeding on fungi by some Ensign scale insects is believed to be the retention of features of the early scale insects. Koteja J. 1985. 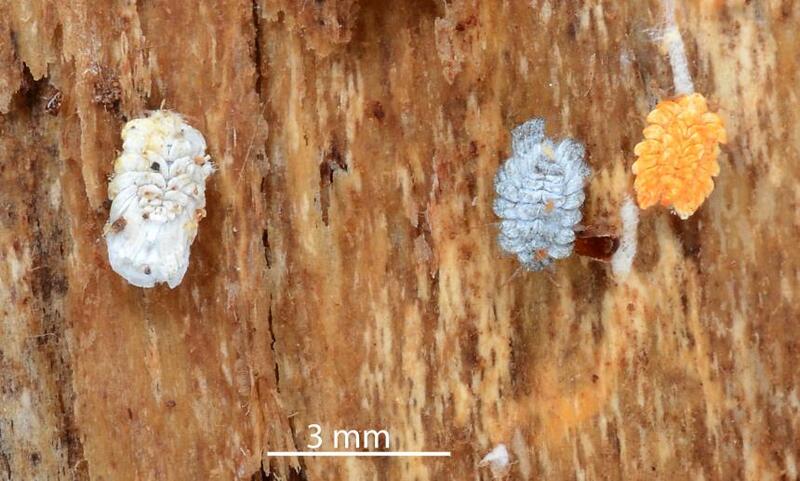 Essay on the prehistory of the scale insects (Homoptera, Coccina). Annales Zoologici 38: 321-328. Pacific regions, with description of eleven new species (Homoptera: Coccoidea, Ortheziidae). Acta Zoologica Academiae Scientiarum Hungaricae 46: 197-229. Vea IM, Grimaldi DA. 2016. 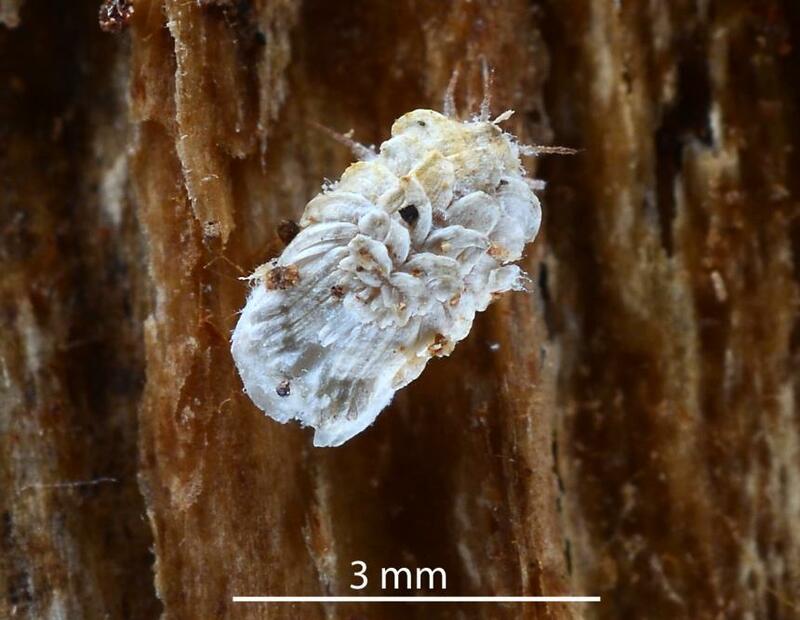 Putting scales into evolutionary time: the divergence of major scale insect lineages (Hemiptera) predates the radiation of modern angiosperm hosts. Martin NA. 2018. Gullans ensign scale - Newsteadia gullanae. Interesting Insects and other Invertebrates. 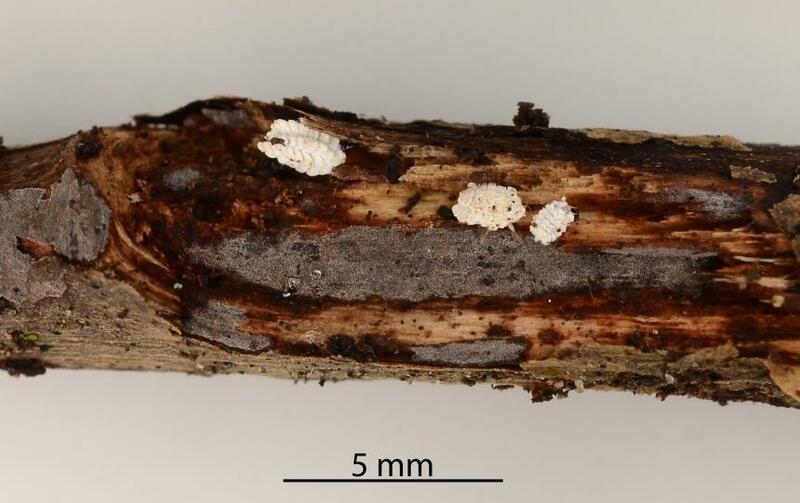 New Zealand Arthropod Factsheet Series Number 137. http://nzacfactsheets.landcareresearch.co.nz/Index.html. Date Accessed. ISSN 1179-643X.